الفيديو - دبلوم دراسات عليا في التسويق الدولي Audrey M. Bleich -EENI أستاذ. 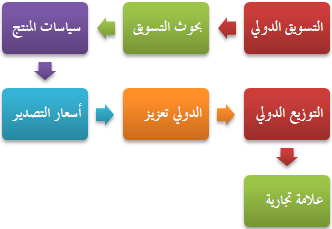 برنامج دبلوم الدراسات العليا في التسويق الدولي مصمم خصيصاً ليناسب احتياجات الأشخاص الذين تتوفر لديهم خبرات سابقة في التجارة الخارجية، كما أن البرنامج يزود الطلاب بالخبرة و المعرفة العميقة لأساسيات التسويق الدولي في مجال التجارة الدولية : التسعير ، المنتج ، العلامة التجارية ، تجزئة السوق ، التوزيع . الشريحة المستهدفة: موجه إلى جميع الأشخاص الذين يرغبون في زيادة معارفهم في مجال التسويق الدولي . The "Diploma in International Marketing" is intended for all those wishing to specialize in global marketing. The Diploma in international marketing is ideal for people with experience in international trade (Incoterms, Logistics, Customs...) because it will provide successful experts with a thorough grounding in the key areas of international marketing. The Diploma in international marketing takes 6 months and requires a time commitment of an average of 12 hours per week. Students can begin the Diploma in International Marketing when he/she wishes (open enrollment) and from any place in the world. 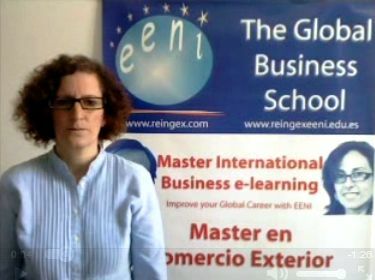 The course is offered in English, Spanish, French and Portuguese. Each learning unit has exercises that the students must pass. When the tutor has evaluated the exercise, the student will receive a message with the score and commentaries. If the teacher believes the student has not reached the minimum level, he will guide in order to improve the quality of their exercises. Students with a bachelor's degree will receive a "Post Graduate Diploma in International Marketing" (Advanced Degree Program).